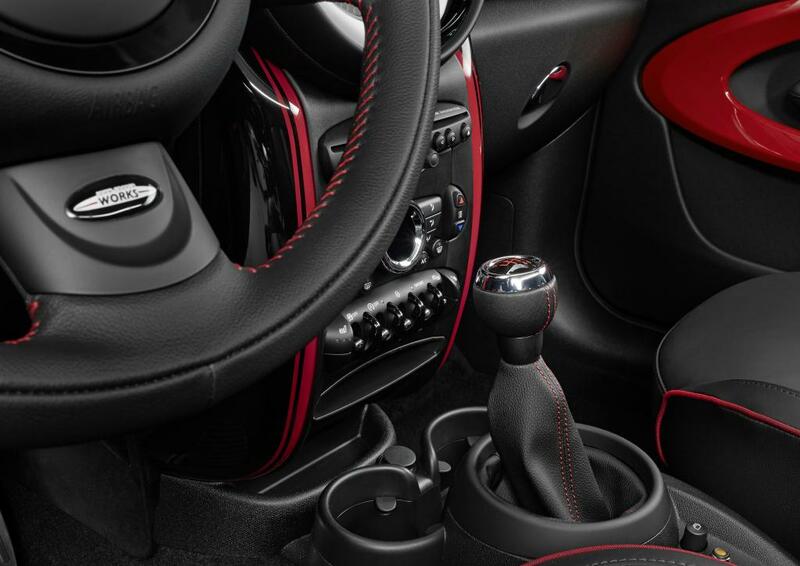 This entry was posted in brochures and tagged accessories JCW MINI Hardtop on February 17, 2015 by James Day. 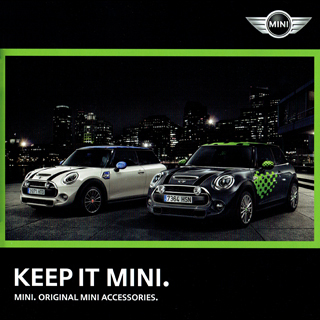 The first Original MINI Accessories catalog has been released for the third-generation MINI Hardtop. 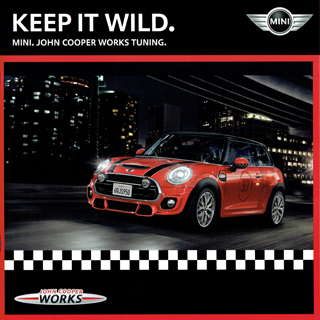 The 22 page flip brochure is filled with 17 pages of MINI accessories and 5 pages of John Cooper Works Tuning accessories. 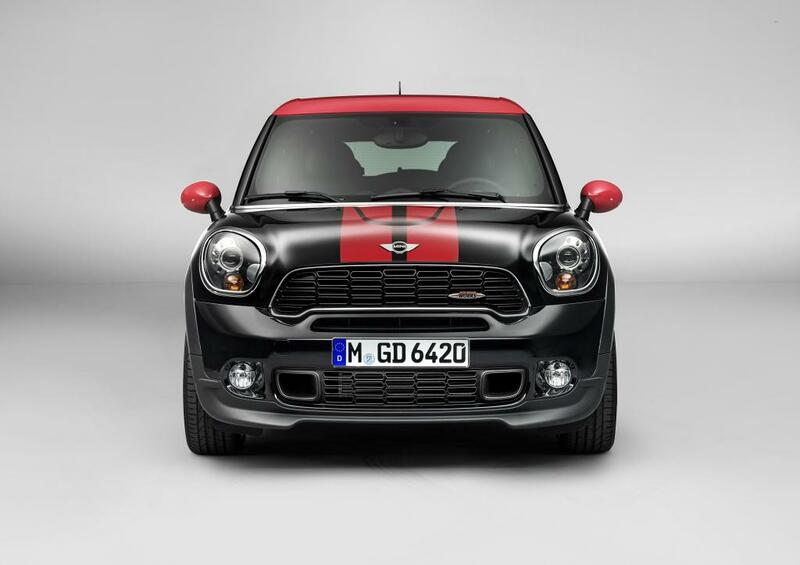 The MINI USA catalog number is 8/14 MMA-F56. 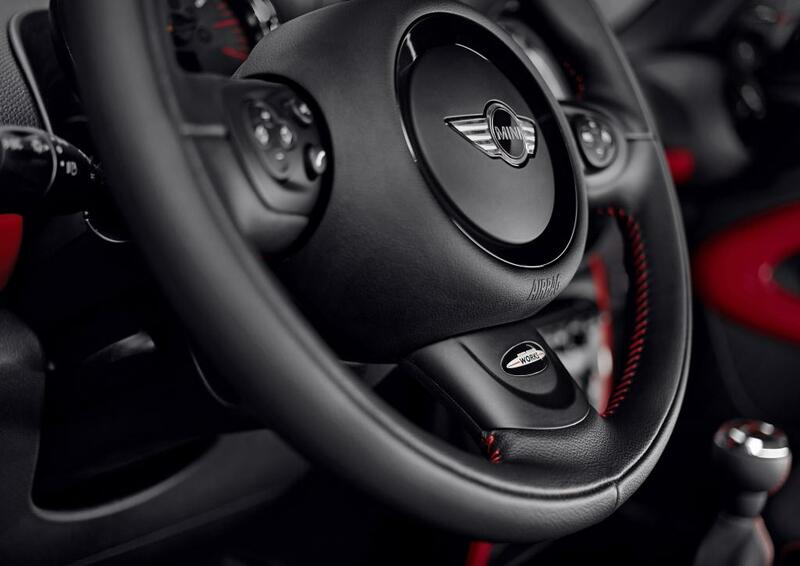 This entry was posted in news and tagged JCW MINI USA on January 28, 2015 by James Day. 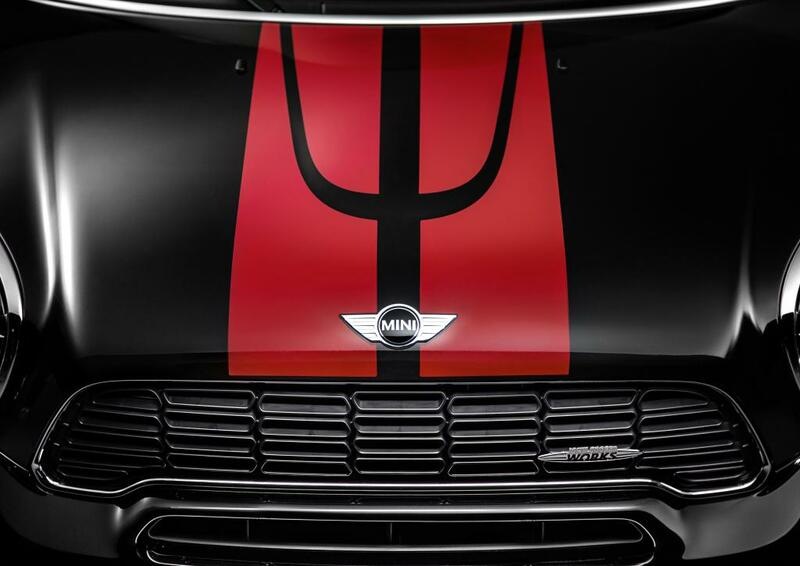 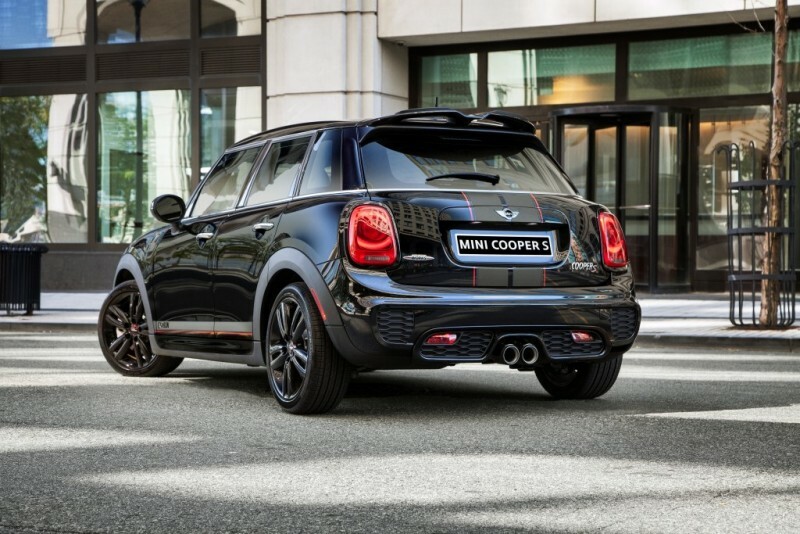 Although already available at MINI dealerships, MINI USA recently updated its Configurator to add the John Cooper Works Exterior Package which includes the option of a Chili Red body color. 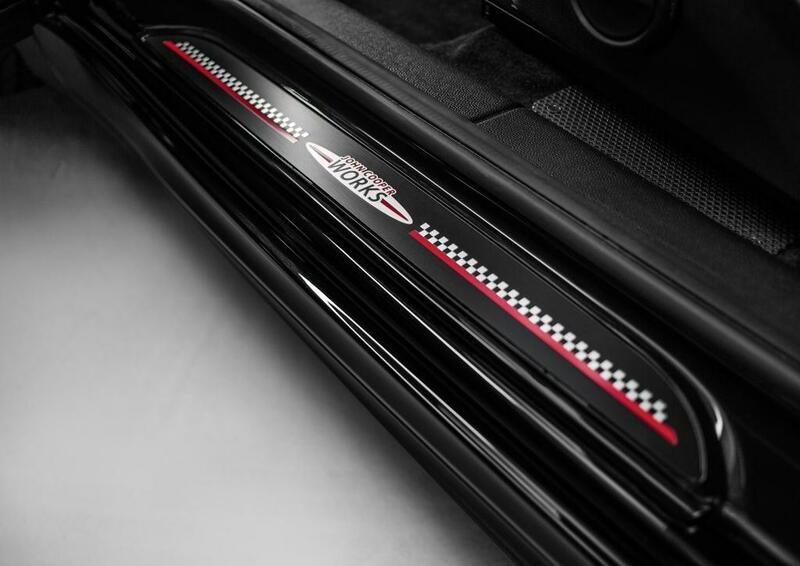 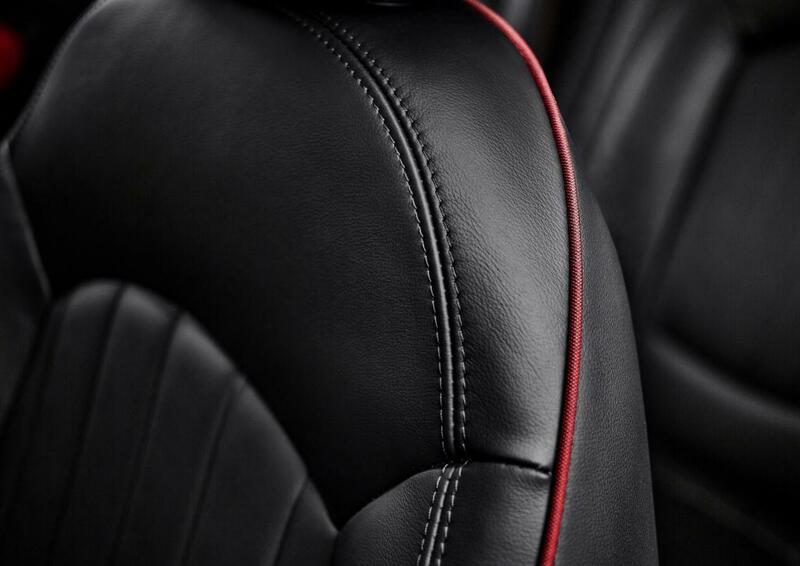 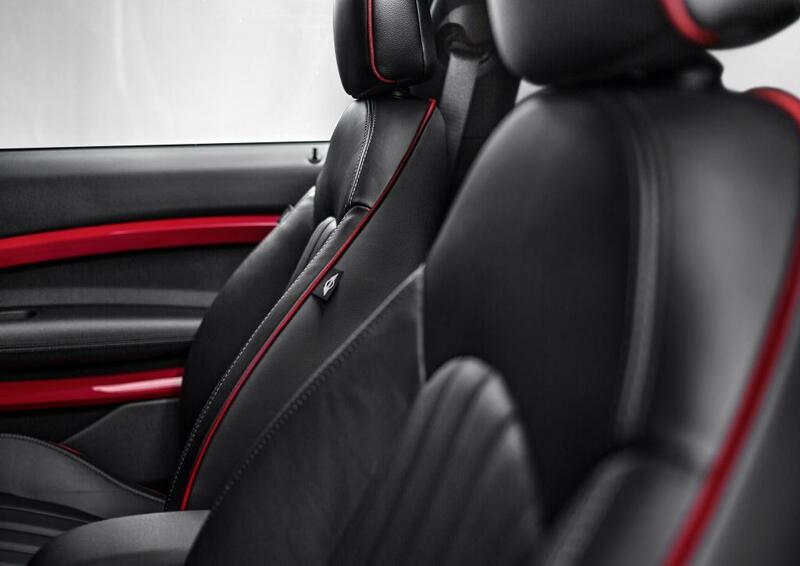 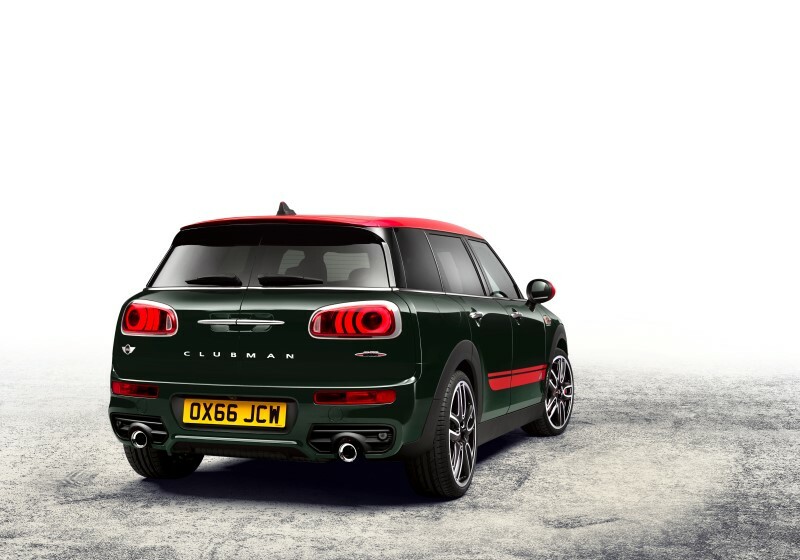 If you love the sporty look of the John Cooper Works line, but don’t need the extra horsepower, the John Cooper Works Exterior Package is just what you need. 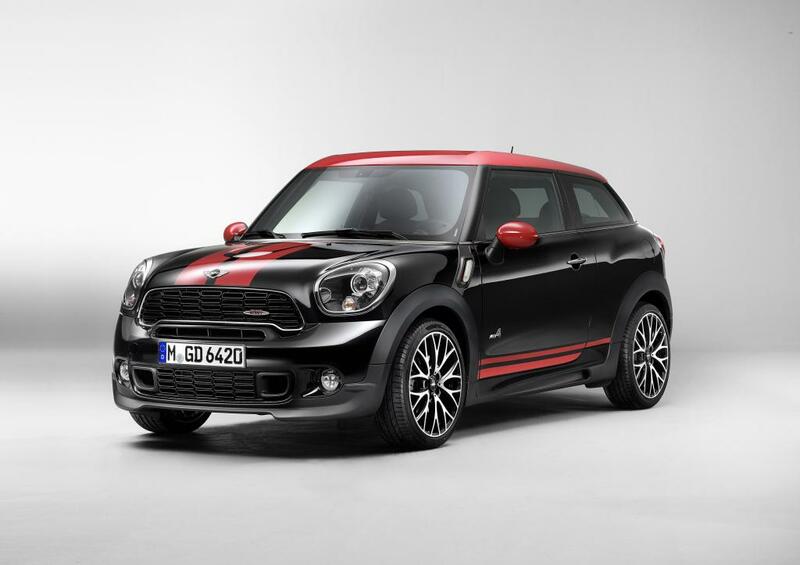 It even includes a no-cost sports suspension option, for a more John Cooper Works-like ride. 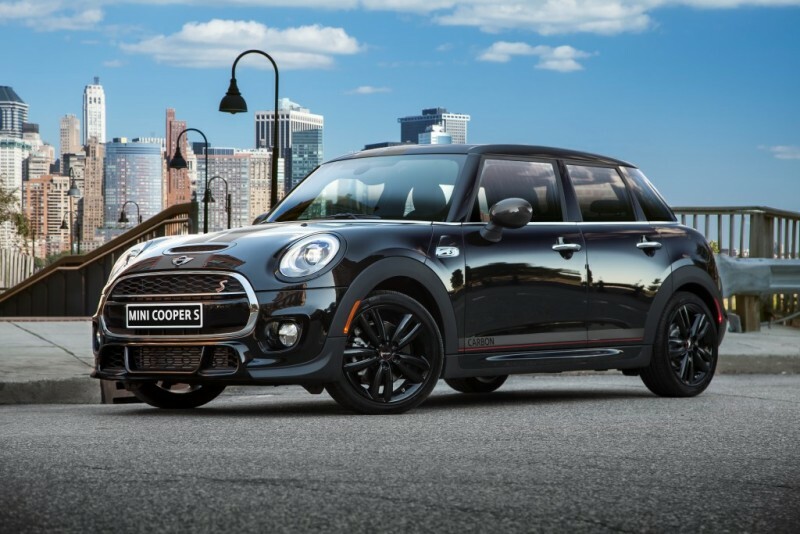 A third wheel choice is the 18″ Two-Tone JCW Cup Spoke Wheel for an additional $500. 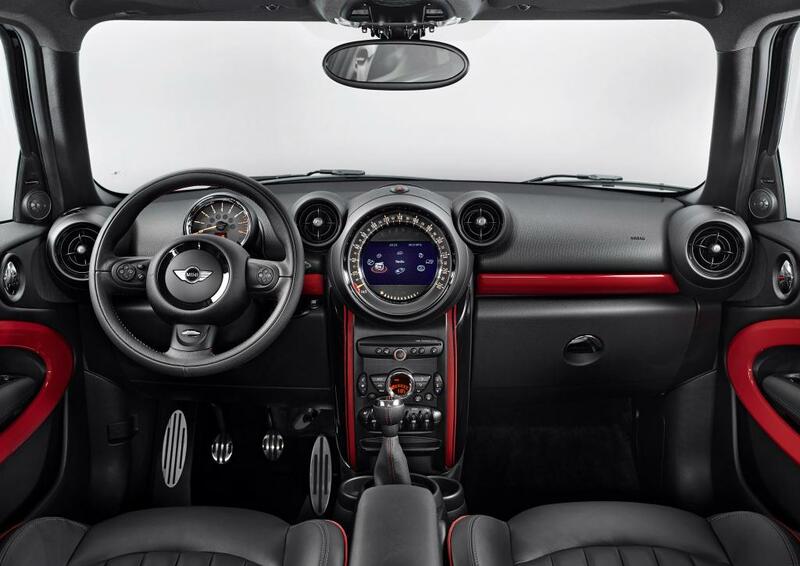 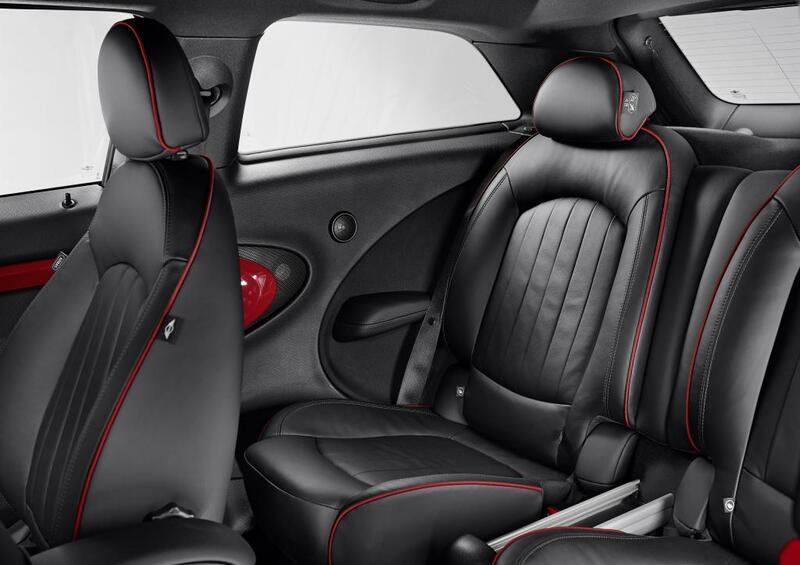 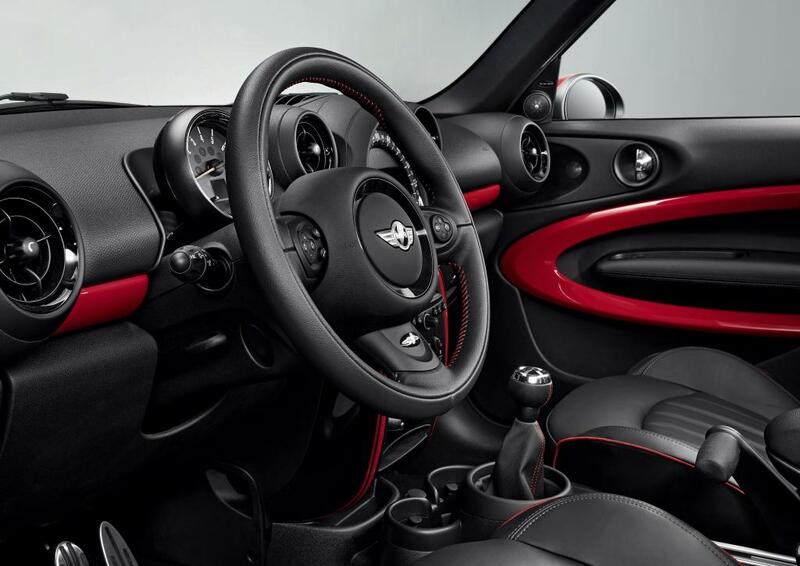 The JCW Exterior Package costs $3,250 for the MINI Cooper Hardtop and $2,500 for the MINI Cooper S Hardtop. 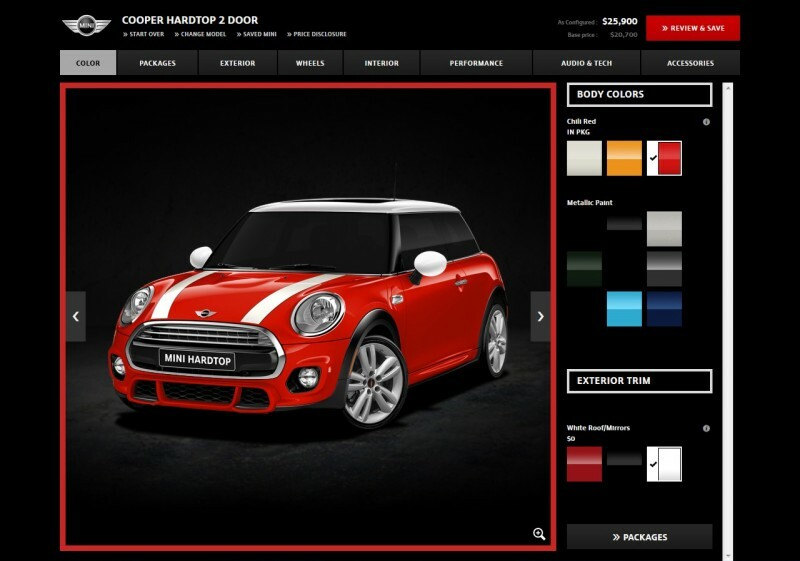 Build a 2015 MINI at MINIUSA.com. 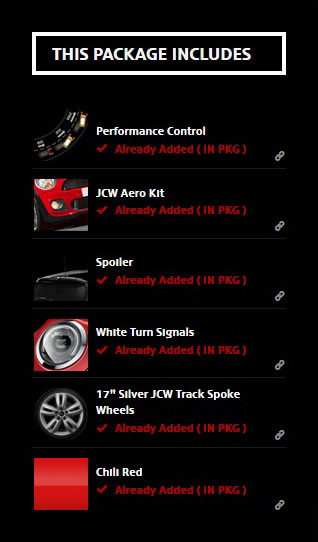 This entry was posted in books facts and figures news and tagged JCW on March 11, 2013 by James Day. 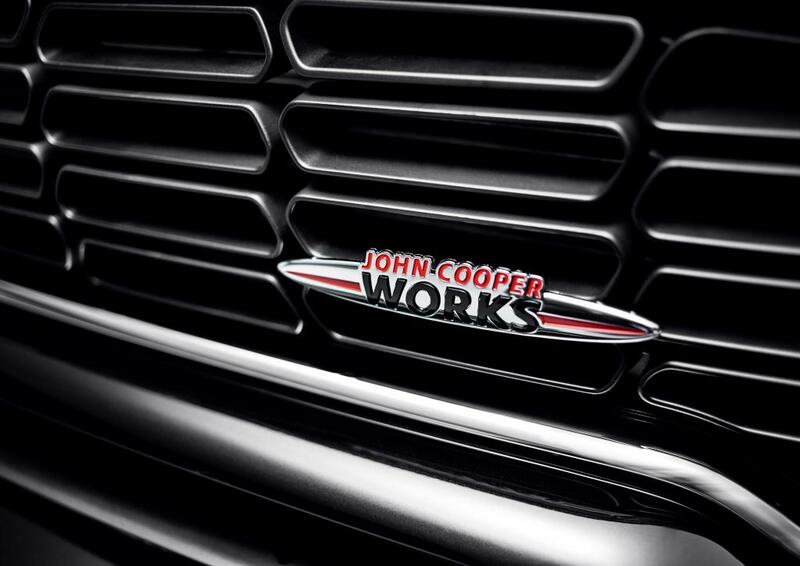 You can also download the MINI John Cooper Works press book in English (PDF 132 MB) and German (PDF 132 MB). 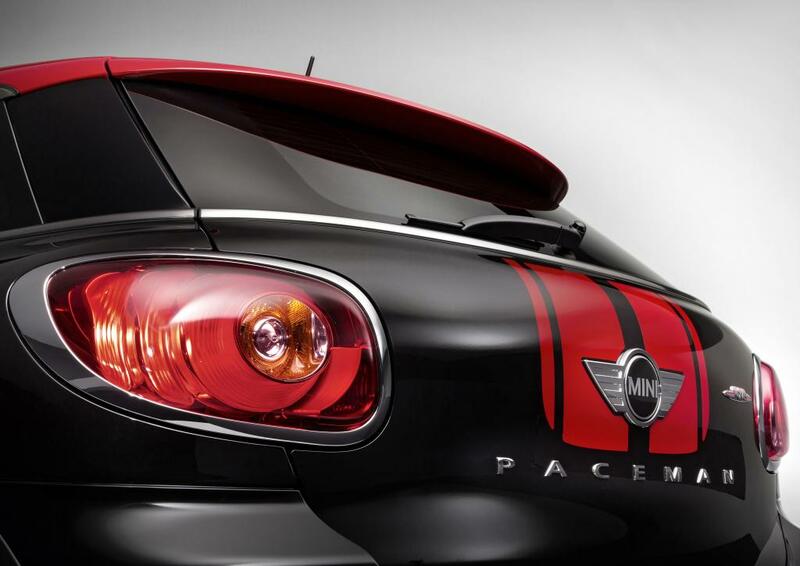 This entry was posted in news and tagged JCW MINI Paceman on December 13, 2012 by James Day. 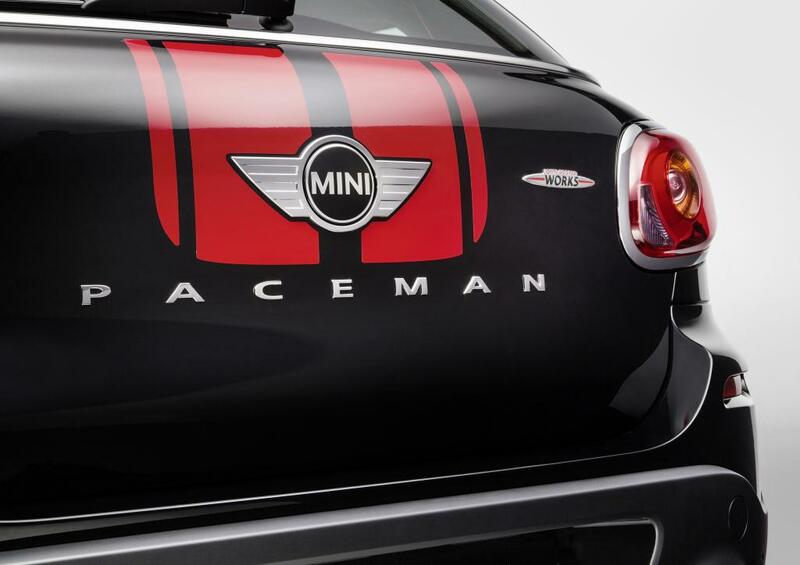 We knew it was coming soon, but yesterday MINI officially announced the MINI John Cooper Works Paceman. 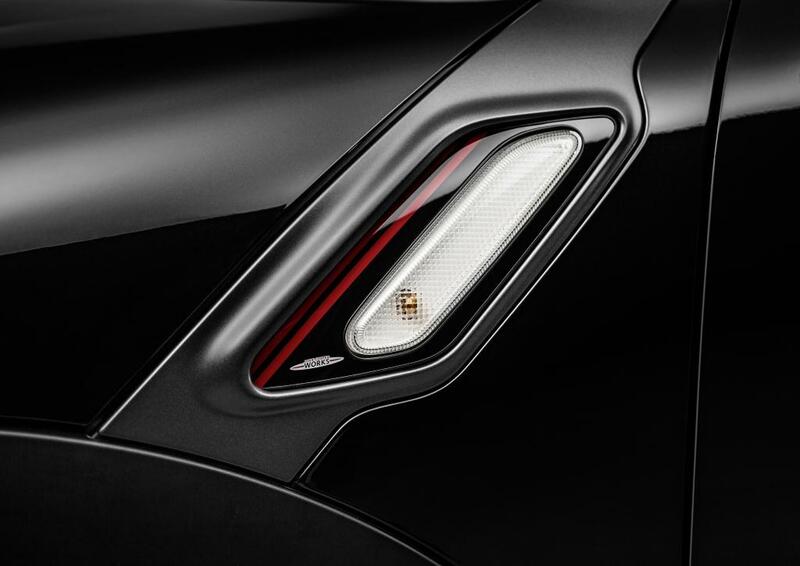 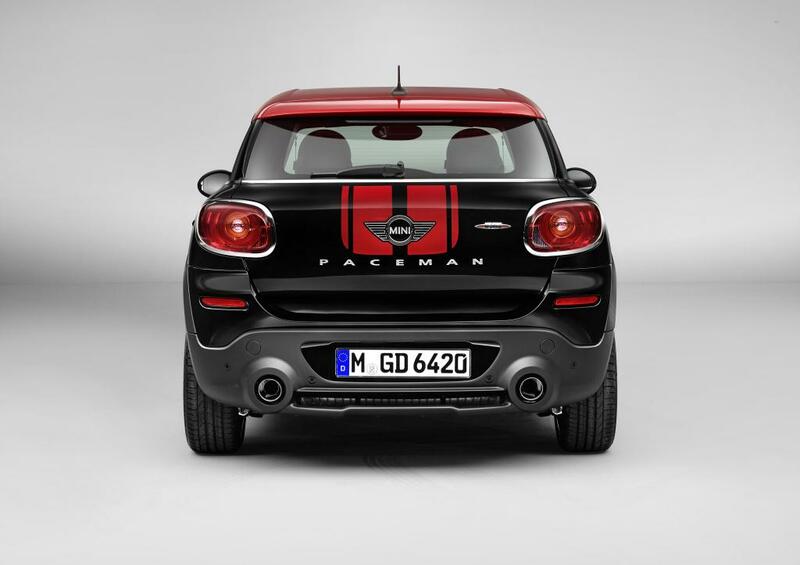 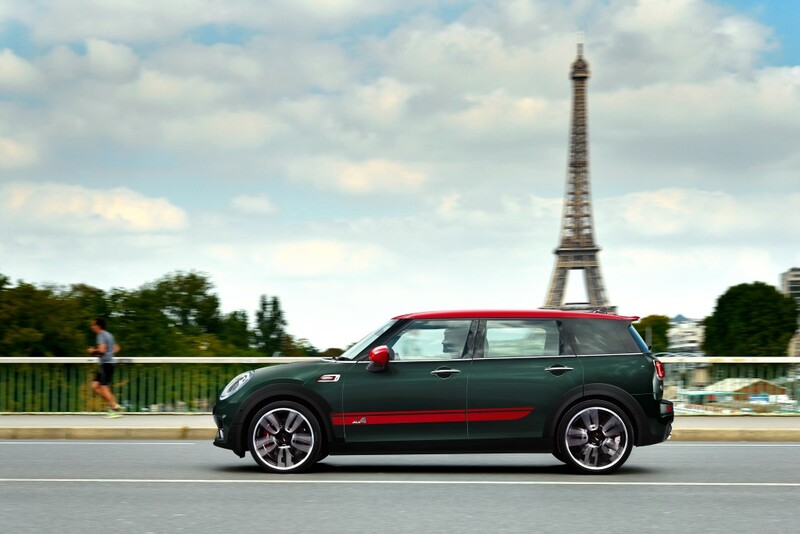 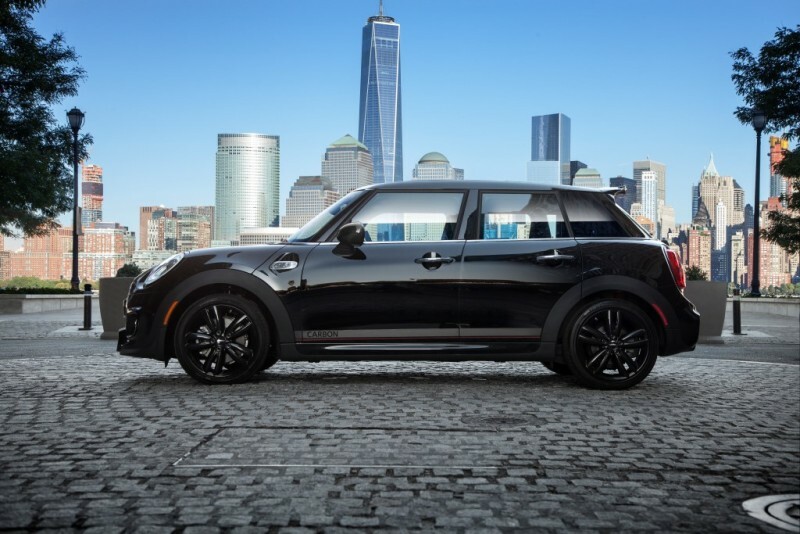 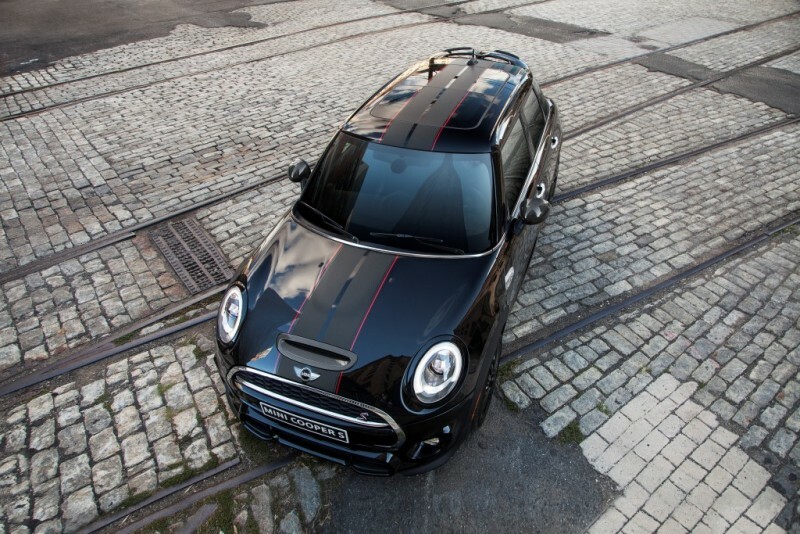 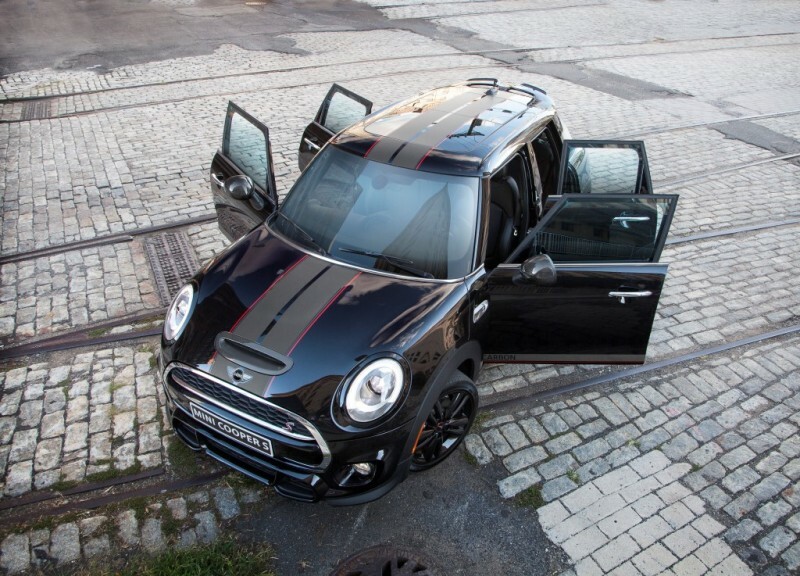 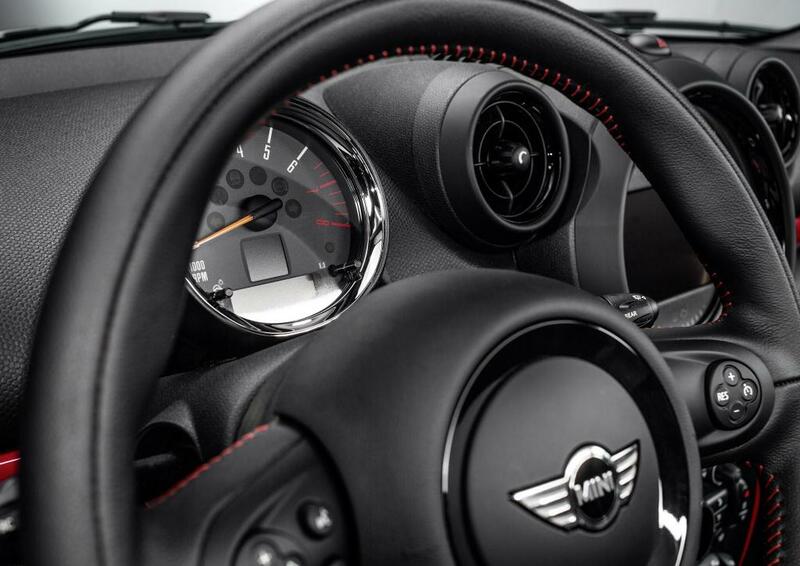 The MINI JCW Paceman becomes the seventh model in the JCW line-up. 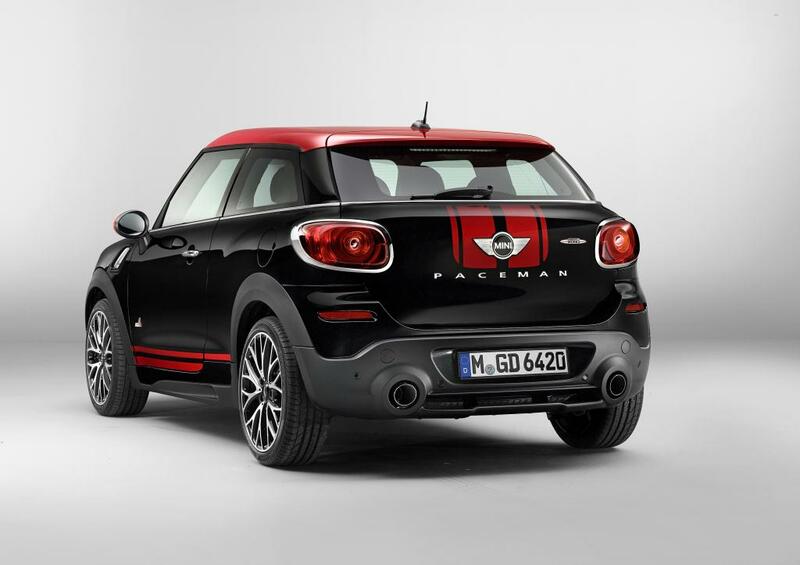 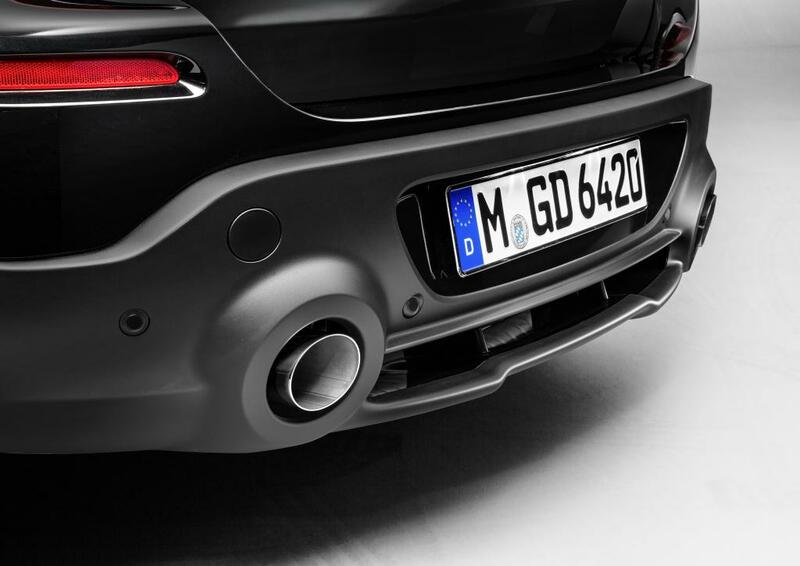 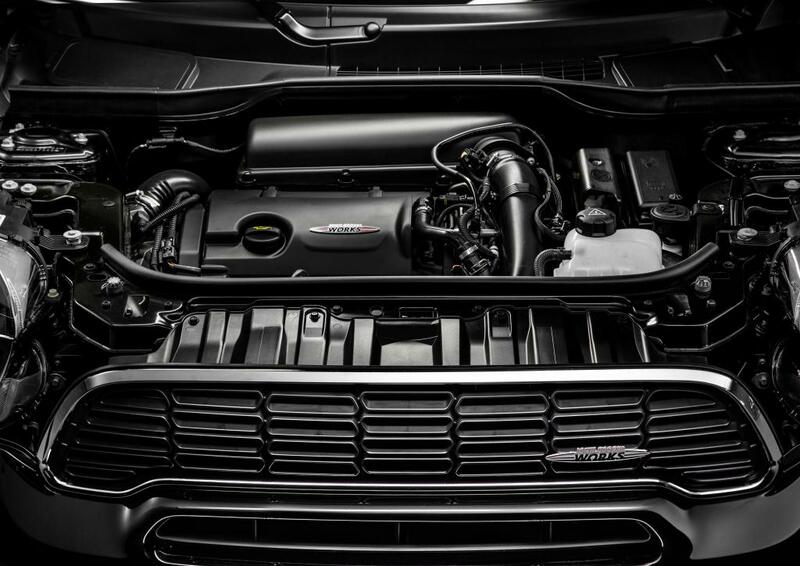 Download the photos and press release Extreme sports performance, inimitable style: The MINI John Cooper Works Paceman. 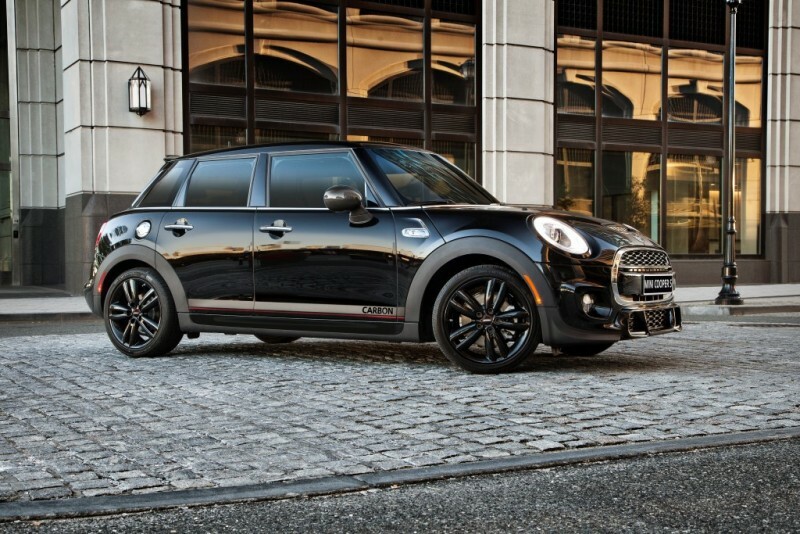 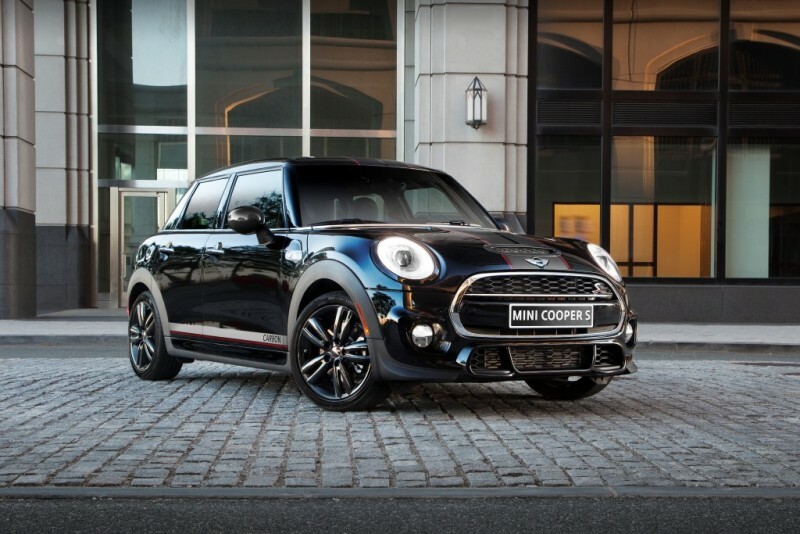 This entry was posted in news and tagged JCW MINI Countryman MINI JCW on November 20, 2012 by James Day. MINI USA updated its Configurator to include the forthcoming MINI John Cooper Works Countryman. 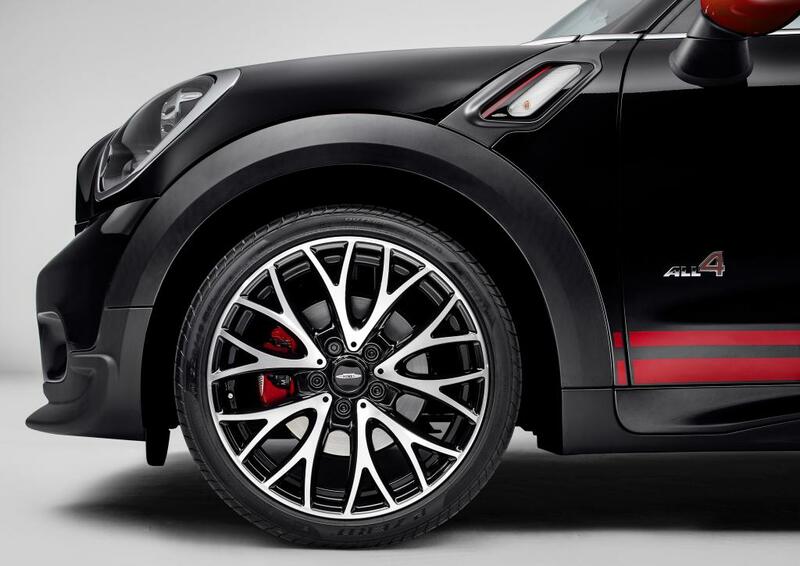 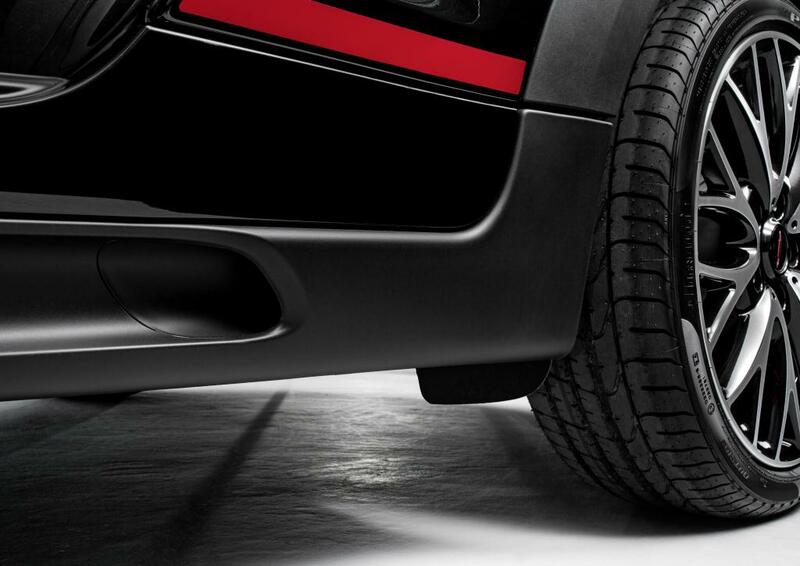 Some JCW options include the JCW 19″ Double Spoke wheels in either matte black or machine polished. 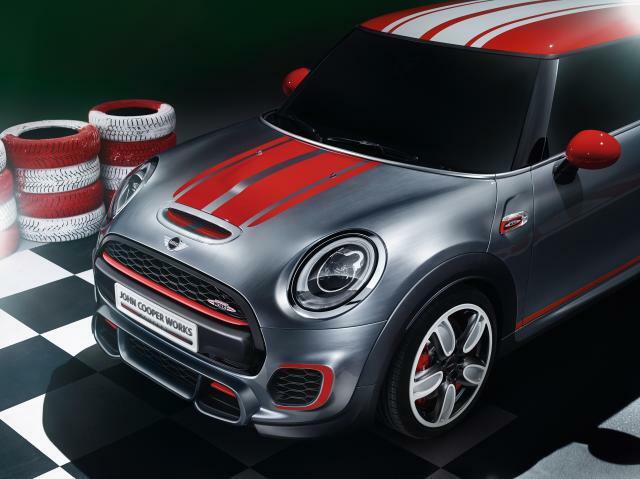 This entry was posted in books facts and figures news and tagged JCW MINI JCW GP press on September 17, 2012 by James Day. 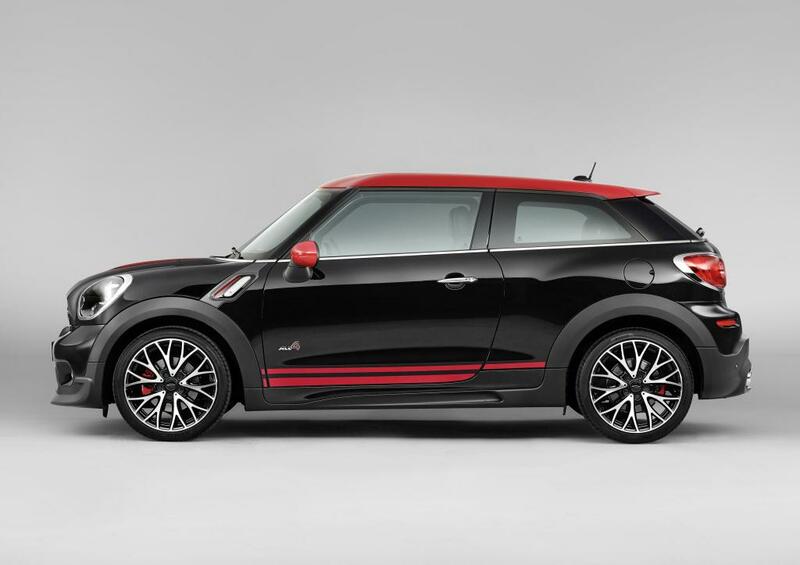 You can also download the MINI John Cooper Works press book in English (PDF 115 MB) and German (PDF 169 MB).